Last year, the Pulitzer Prize board took a look at the short list from the subcommittee that makes recommendations on who should win the coveted award for drama. The board tossed the recommendations out, and instead bestowed the Pulitzer on Next to Normal, a show that the recommending body didn’t even rate as a semi-finalist. In some circles, the decision was viewed as an autocratic move illustrating the limitations of an unchecked board. Others applauded the decision, overjoyed that a musical about mental illness had catapulted the difficult topic into the national spotlight. 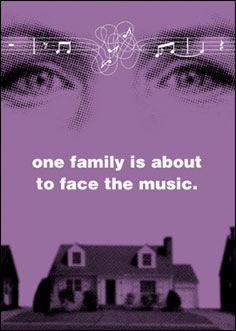 Revisiting Next to Normal for the second time in as many years, we’re more certain than ever that the Pulitzer went to the right people. On paper, the show sounds like the worst idea for a musical since “Springtime for Hitler”. 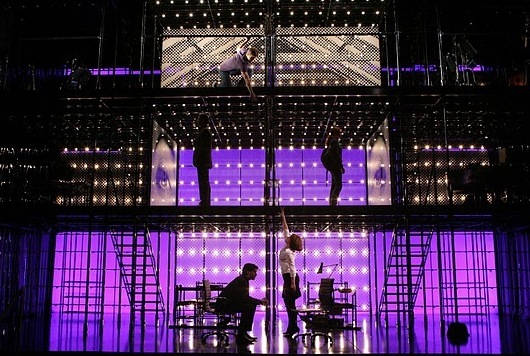 Next to Normal has no dance numbers to speak of, no chorus line of cute chorines, no happy ending. It is about a woman who has shock treatments. It is also about a family that has been devastated by tragedy, perhaps beyond repair. It is about doctors who admit that nobody really knows how to cure mental illness and that finding an effective treatment for mood disorders is like locating a silver thread in a huge, cloudy swamp. It is about the futility of stumbling blindly through ad lib regimes of SRO inhibitors, benzodiazepines, lithium, Prozac, Cymbalta, Zoloft, Seroquel, and an endless alphabet soup of other chemistry-altering pills whose side effects range from dizziness to death. Clearly, we’re not in Shuffle-off-to-Buffalo territory here. 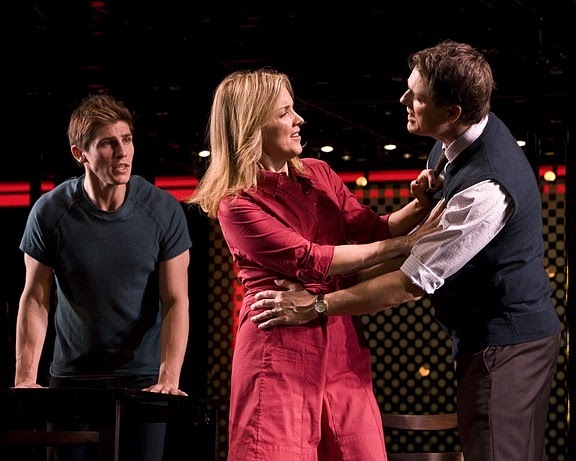 Yet in a country where, year after year, suicides outnumber homicides, Next to Normal is about as relevant, compelling and urgently necessary as theater gets. It also benefits from composer Tom Kitt’s gorgeous score, Brian Yorkey’s smart, insightful lyrics and direction by Michael Greif that grabs your heart within the first 10 seconds and doesn’t let go until long after the final curtain call. Next to Normal is not an easy show: It confronts you relentlessly with the despair, absurdity and in-curability of mood disorders. But it is also gloriously hopeful as it shines a compassionate spotlight on a topic about which there is far too much ignorance. And make no mistake – that ignorance is rampant. Consider the language of suicide: We say “Diana killed herself,” as if the act were a choice, a decision uninfluenced by the very real illness of depression. When people die of cancer, the disease is blamed. When people die of depression, the victims are blamed. So much for background on the societal necessity of this particular show. This is theater, so the real question isn’t about its social value. It’s about whether it is any good. The answer is yes. With significant caveat. The cast for the touring production is mostly as good as the Broadway ensemble, but the player who falls outside that “mostly” is crucial. 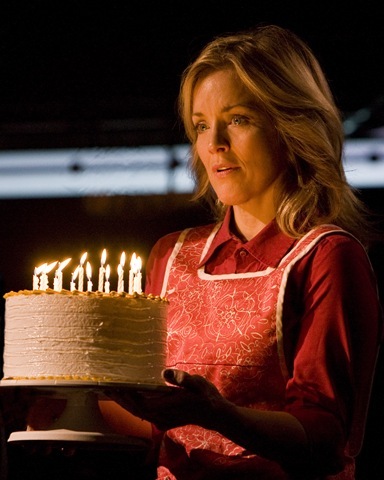 Next to Normal is anchored by Alice Ripley, who won the Tony for her performance as Diana Goodman on Broadway. But Ripley’s voice is not what it was on Broadway a year ago. Performing this vocally demanding score eight times a week has taken a toll. She struggles significantly with both pitch and with diction. Crucial lyrics are muddy, soaring top notes falter painfully. Pivotal numbers – I Miss the Mountains, You Don’t Know, Didn’t I See This Movie – don’t get the clarity the plot needs or the musicality the score contains. Acting, Ripley remains superb, capturing the highs, lows and utter absurdities of mood disorders with an accuracy that is both deeply moving and blackly hilarious. 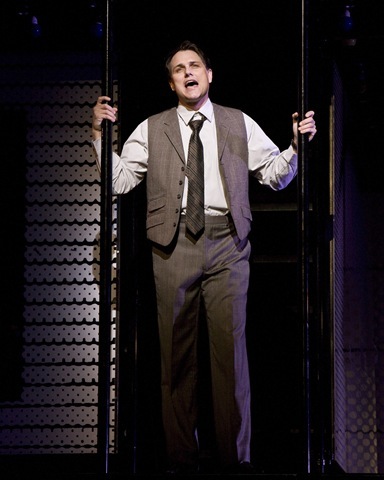 But Next to Normal demands a great vocalist as well as a great actress. Opening night at the Bank of America (Shubert) Theatre, Ripley simply wasn’t consistent in the former capacity. 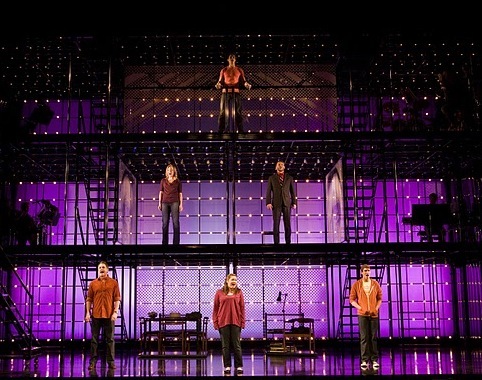 Still – perhaps paradoxically – Next to Normal remains a four star, must-see show. The supporting cast is pitch perfect. As Diana’s struggling 16-year-old daughter, Emma Hunton is heart-breaking in her vulnerability and defensive anger. With the short, bittersweet “Everything Else”, she delivers an ode to the crystalline order of Mozart’s music, with a poignant wistfulness that’s as sad as it is beautiful. 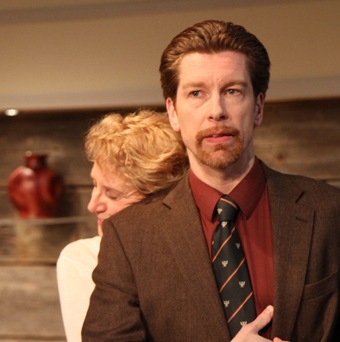 As Diana’s son Gabe, Curt Hansen is thrilling, at once alluring and menacing and positively electrifying on the rock-infused “I’m Alive.” As Diana’s husband, Asa Somers’ Dan, delivers both the all-but unbearable frustration that results when a loved one’s struggle with mental illness seems never ending and years of treatment prove to be of dubious value. And as Diana’s psychiatrist, Jeremy Kushnier deftly portrays both the expertise and the impotence of a science that is more guess work than anything. 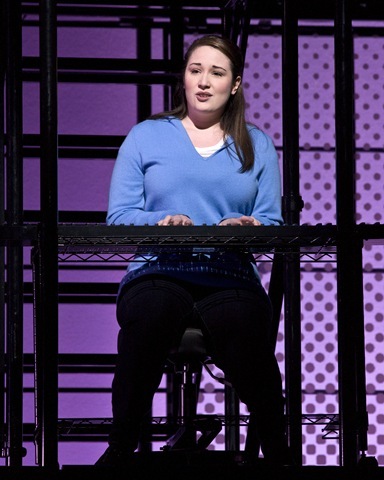 Next to Normal remains a magnificent musical. But with Ripley no longer in prime voice, it isn’t as magnificent as it might be. 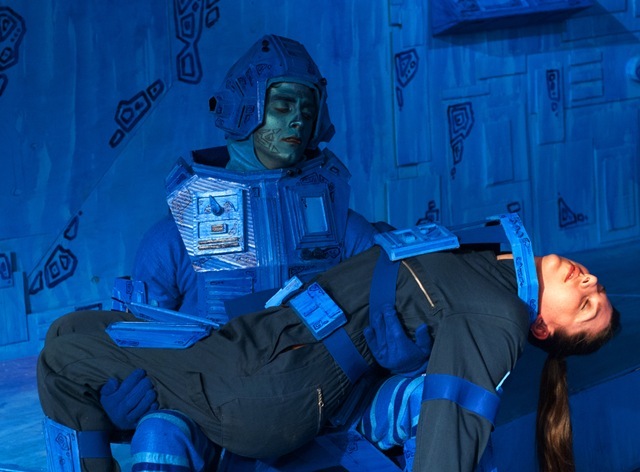 You have to hand it to Polarity Ensemble Theatre’s latest production, a daffy space opera called Ephemera. It wings its charming way through its almost stream-of-consciousness universe while, at the same time, interjecting notes of wisdom and flashes of sobering reality. 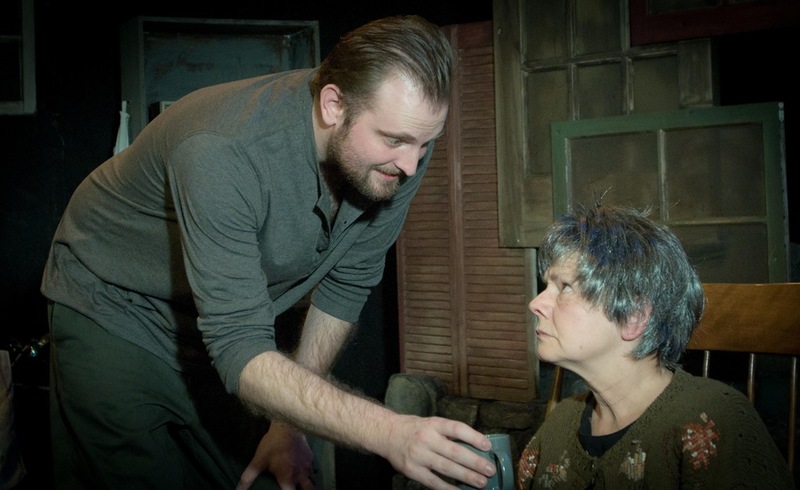 Not so sobering that it subverts its comic balance—playwright Bryce Wissel challenges his characters but never allows them to sink into maudlin self-pity or self-absorption. 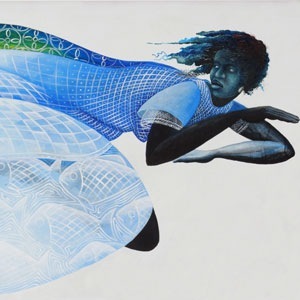 Directed by Laura Sturm, Ephemera does that delicate dance of riffing on well-worn and outlandish tropes from sci-fi, creates a few new ones on its own, while nodding to the obvious drawbacks of a life suspended in space. 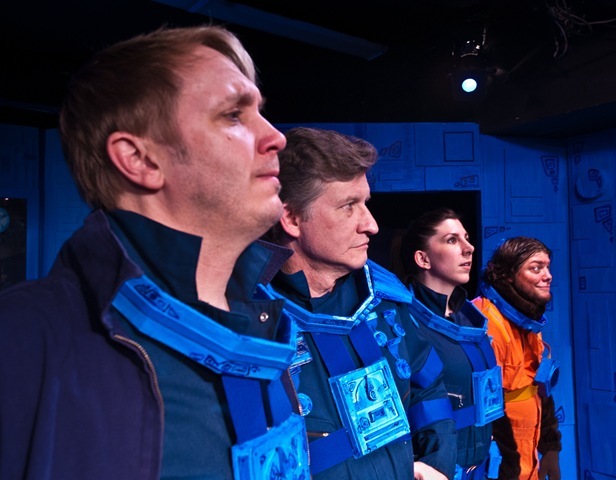 The crew of orbital space station Ephemera shows all the wear and tear of living the most ungrounded of existences but that hardly keeps them from playing out all their individual idiosyncrasies, even to the living end. 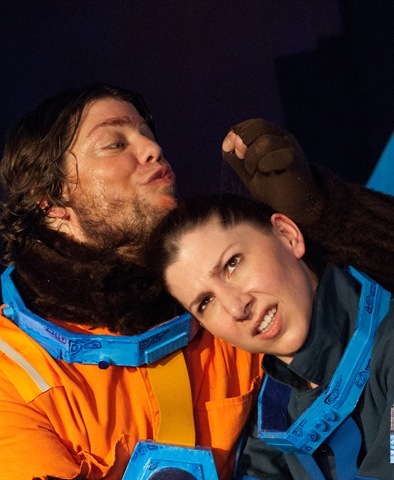 Presented in “installments” by greeter Androids 1 and 2 (Hilary Holbrook and Sarah Grant), the story begins with Ephemera’s crew discovering a talking monkey trapped in its airlock. The monkey, Davy (played with superb body language by Charley Jordan) was the original test monkey sent into space during NASA’s early exploration days. Perhaps–and only perhaps–decades of exposure to interstellar radiation have speeded his evolution to the point where he can hold affable conversation, jovially drink down the station’s alcohol and hit on Colonel Kate McBride (Kim Boler). True to sci-fi/action thriller formula, Kate’s the only female on board–so, of course, Davy’s not Kate’s only suitor. 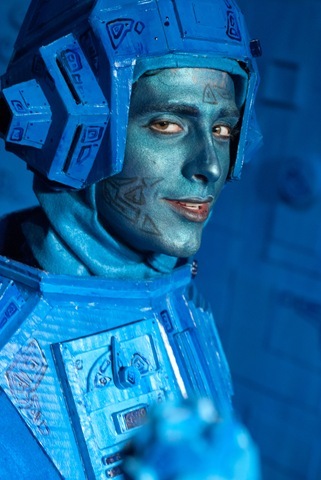 Manuel (Kaelan Strouse), an android who was probably weaned on Telemundo programming, exerts all his exuberant Latin charm to woo her–not to mention showboat the audience. As hotly pursued as Kate is, it’s through her we discover the darker aspects of Ephemera’s nut-house environment—they have been on board, orbiting Earth, for who knows how long or for what purpose. There’s been no communication from Earth and they all have no memory of any time before they were there. “I don’t even know if we came here willingly,” she plaintively tells Davy. It quickly becomes clear that the crew’s behavior reflects the time-wasting, random goofiness of people without direction or relief from meaningless routine. “Everyone I know has heard all of my jokes,” complains Colonel James Bowie (Jonas Grey). The only one having fun with his role seems to be Commander William B. Travis (played with absurdist brilliance by Bob Wilson) and mostly because his role on the station seems to have been fabricated out of thin air. Even the comedy’s non-linear story structure, replete with dropped-in asides from the characters, instills repetitive and nonsensical time loops in the action. Wissel’s comedy matches the flukiness of Douglas Adams’ or even Tom Robbins’ novels. At the heart of its highly randomized exposition is a workplace comedy, where work is very definitely not the issue but getting along with the quirks of one’s co-workers is. For the most part, the non-linear storytelling is very successful—only in the second act does it begin to wear itself out as a MacGuffin. However, Sturm’s cast is spot-on in pace, timing and delivery—a factor made all the more exacting by the production’s technical elements. Plus, artist lewis lains’ set design and further art installations create a great space for the cast’s gentle and gracious finale that brings the show home clean, clear and truthful. If a little more editing could be employed, Ephemera just might takes its place in the stars among its illustrious space comedy forebears. Ephemera continues through May 1st at Josephinum Academy, 1500 N. Bell (map), with performances Fridays and Saturdays at 8:00 p.m., and Sunday at 3:00 p.m. Tickets are $19, and can be purchased online. 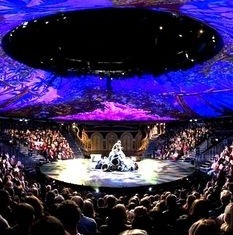 More info at www.pettheatre.com. 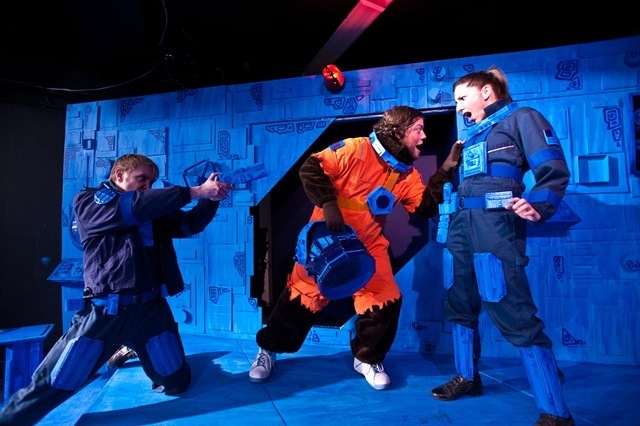 Read Space Cadets article in Examiner. 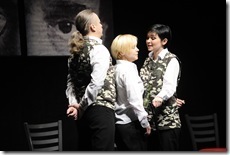 This past Monday night, the Belarus Free Theatre gave its last Chicago performance of Being Harold Pinter to a packed house at the Chicago Shakespeare Theatre. Their world tour will now carry them to Hong Kong and London, a development they hardly anticipated when they first escaped from the Belarus secret police in January to perform in New York City for Under the Radar Festival, sponsored by Public Theatre. As artists on the run, they have one overriding mission—to alert the world to the conditions of torture, unlawful detention and disappearance occurring in “the last dictatorship in Europe” and to continue strong sanctions imposed on Belarus for its mass arrests of Alexander Lukashenko’s political opposition during post-election demonstrations on December 19 last year. The applause they received upon entering the champagne reception afterwards echoed the standing ovation that crowned up their final performance in Chicago. While undoubtedly deserved, one couldn’t help feeling the inadequacy of what we were offering them–that what they needed most were not cocktails and hors d’oeurvres but a home free from the terrors of state oppression. 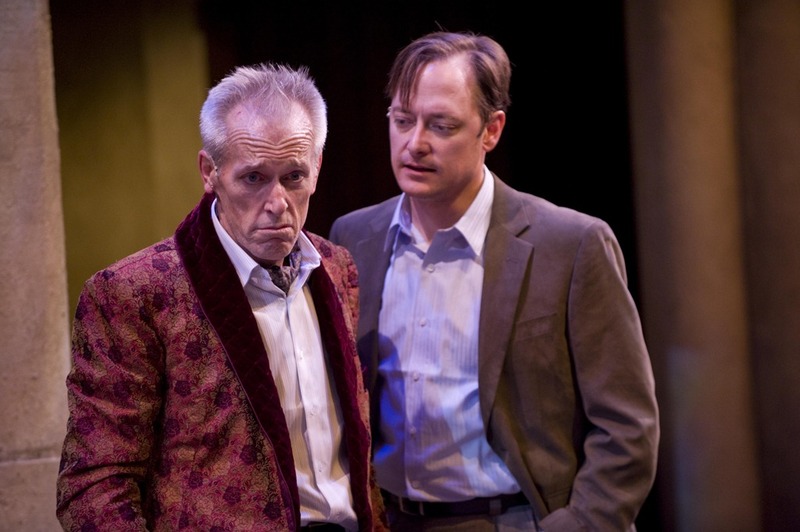 The star presence of John Mahoney, Ora Jones, Phillip James Brannon, Stephen Louis Grush, and others who joined the actors onstage to read eye-witness accounts of KGB brutality paled before both the cast’s plight and their bold achievement. PL: So, how long will your tour continue from Chicago? VS: We’ll be in Hong Kong for less than two weeks, then on to London. We’re planning to perform the play in Parliament. We hope so. PL: So you have UK politicians helping you to set that up? VS: We have good contacts with British artistic figures. And we hope to return here. We plan to continue our contacts with the Goodman Theatre, with the Public Theatre and the Baryshnikov Theatre in New York. PL: Have you received enough funding from your performances here for the tour? VS: (shrugs) We hardly knew we would be here when we arrived in New York. I suppose so—we’d plan on only 4 performances and how spontaneous to perform 14 in Chicago, fully sold out. So, this was very strange but also very pleasant situation that we could do this for Chicago audiences. PL: How is your application for asylum in the US going? VS: (shrugs) I really don’t know about asylum. It’s a big question whether that’s going to happen or not. We cannot re-enter our own country. Our members have already received threats or orders to return. We constantly receive threats in the form of our relatives and neighbors being called late at night by the police about our whereabouts. Several members have received invitations from the police to show up for interrogation. Unfortunately, this [Belarus] government only understands sanctions, straightforward and unwavering sanctions. The last elections, only very harsh sanctions forced the president [Lukashenko] to release the opposition presidential candidates from jails. Discussions do nothing. During discussions, political candidates just become goods to sell America and the EU. What you have to know about the demonstrations that took place on December 19th is that there was snow on the ground. After the police had stormed the crowd and assaulted the people, the snow was stained with blood. Then at university, students who were absent on the day of the demonstration were ordered to go for a medical check up and if they looked like they had been beaten up from the demonstration, they were expelled from school. In some ways, it’s easier for us. We don’t fear this anymore. We’ve been beaten up, we’ve been arrested, we’ve lost our places at work—we’ve gotten used to working under pressure. PL: What would you like people to take away most about your stay here? VS: Well, a very big idea for everyone to understand is that we mean serious things. We’re not just about going around and telling our story. We are expecting Obama to be very precise about our situation and take a clear position against the Belarus government. This is what people should know: people are being beaten up, thrown in jail, and disappeared. [BFT co-founder] Nikolai [Khalezin] has had 9 friends disappeared in the last 16 years. The people you see on the posters who are in jail? They’re our friends, our audience. PL: Anything else you’d like to say? UPDATE: Since the posting of this interview, the OSCE – Office for Democratic Institutions and Human Rights – published its report on Belarus’s December presidential election, declaring that the election did not meet the criteria for being free and fair. Let the games begin. They’re rarely more intriguing and diabolically delicious than they are as played in Anthony Shaffer’s cork-screw twisting crime caper Sleuth. The suspensor has the intelligence of an international chess match and the tension of a frayed high wire poised to snap under the weight of a two-man aerial team, sending those who would traverse plummeting it to their deaths. 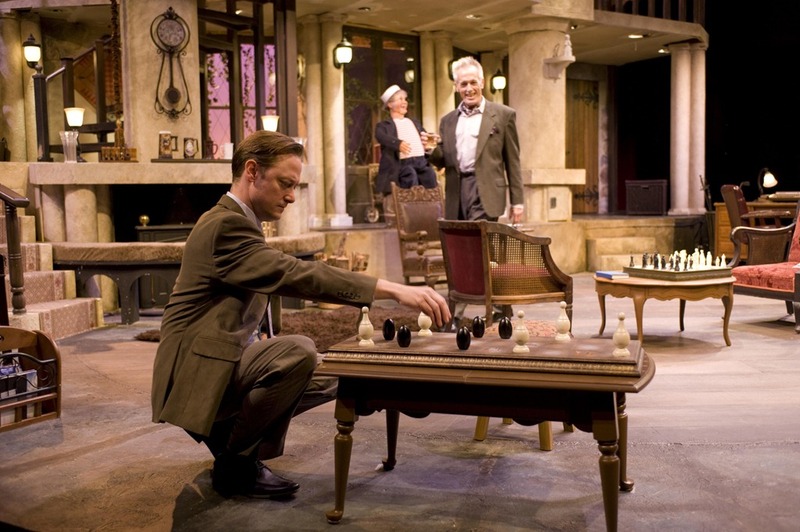 With director William Pullinsi helming the master-class cast of Larry Yando and Lance S. Baker, Theatre at the Center‘s production of Sleuth is a first-rate cut-throat thriller. Actually, forget the corkscrews. This is a murder mystery with more twists than a switchback trail up a Finlandian Matterhorn. Sleuth isn’t merely a whodunit; it’s also a who-has-been-done, meaning that you’re never quite certain which of several apparent victims has been slain until the final curtain. Is it the Nordic mistress, strangled with the silk stocking? The cuckolding travel agent, executed with the revolver? 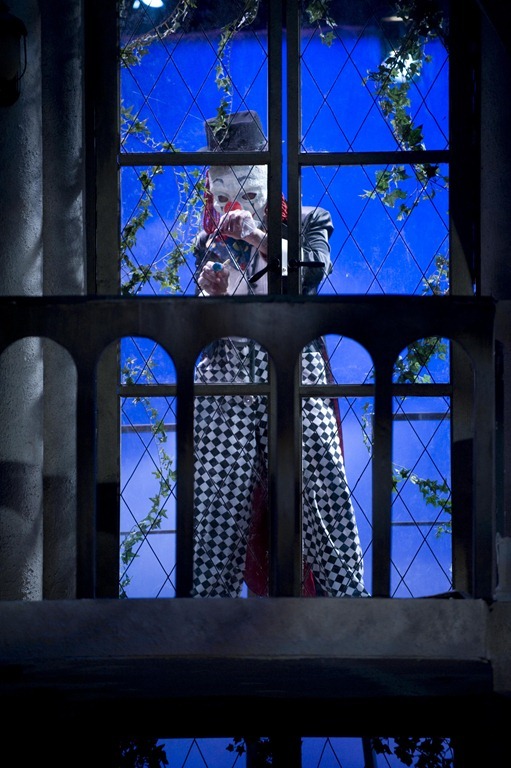 Shaffer builds illusion upon reality until the two mirror each other in a whacked-out, fun-house reflection, toying with the audience much as the story’s dueling gamesmen toy with each other. And oh, such gamesmen are at play in Munster. Larry Yando plays Andrew Wyke, a mystery writer whose disdain for the plodding numbskull police is inversely proportional to his love of a good, old-fashioned match of wits. Watch him as he sits contemplating his chess board: The man’s eyes veritably gleam. Listen as he reads a passage from his latest detective novel: This is a fellow enraptured with both the sound of his own voice and the romance of role-playing, a man who is never so happy as he is when he’s putting on a charade. Lance Baker plays Milo Tindle, a rather condescending travel agent who has been called to Andrew’s aptly Gothic old mansion (an elaborately spooky two-storey set by Rick and Jackie Penrod) for reasons that become clear only gradually. It wouldn’t do to reveal much more about the connection between Andrew and Milo, so suffice to say, the snare that binds them creates an elaborate labyrinth of a live-action brain-teaser. And every time you think you have it all figured out? You haven’t. Baker and Yando are at the top of their craft; watching them turn and turn back the tables on each other is sheer delight. Milo has quite a journey, going from contained, arch smugness to quivering desperation to scary, dead-eyed psycho to gloating triumph, and Baker carries it off with dizzying grace. Yando cackles like a gleefully demented child as he manipulates his quarry, moving around the stage like a spider hopped up on amphetamines. When predator becomes prey, Yando morphs from elegantly controlled, slightly sadistic alpha male to clawing underdog, wild-eyed with fear and yet somehow also secretly joyous because he’s finally met a worthy opponent. Director Pullinsi keeps the pace crackling along like a brushfire. 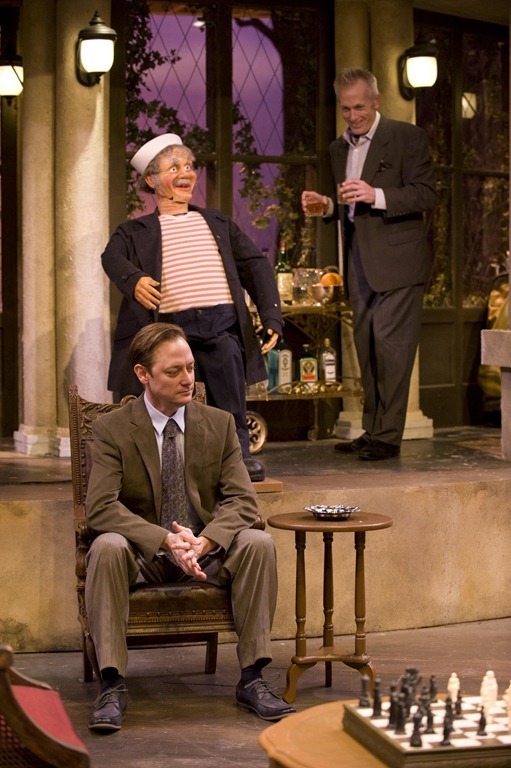 In between its trio of Big Reveals, Sleuth is an inherently talky play. Its rich, almost Stoppardian dialogue doubles back on itself as schemes, counter-schemes, crosses and double-crosses volley across the stage. Yando and Baker parry with the ease of fencers, making the intricate wording sound as spontaneous as an unexpected gunshot. Our one criticism of the production is that Pullinsi downplays the narrative’s essential homosexual subtext (and regular text, for that matter) substantially. That means the end-game lines about diminished manhood and blackmail don’t make quite the sense they should. Still, Pullinsi has constructed a house of games that’s totally worth the drive to Munster. 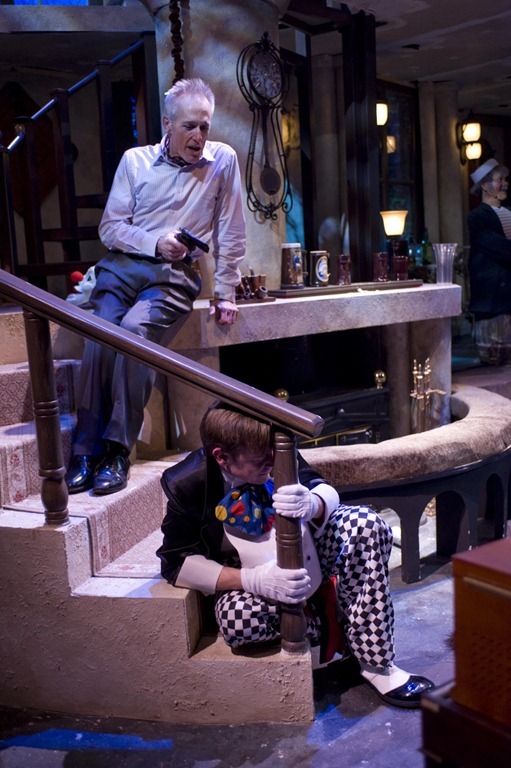 Sleuth continues at Theatre at the Center, 1040 Ridge Road, Munster, Indiana, running February 17 through March 20. To purchase individual or group tickets call the Box Office at 219.836.3255 or Tickets.com at800.511.1552. 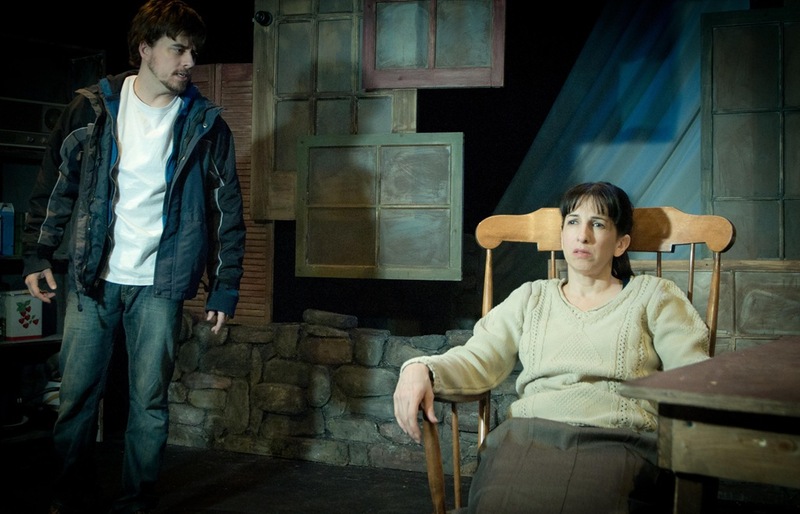 For more information on Theater at the Center, visit www.TheatreatTheCenter.com. All photo by Michael Brosilow. 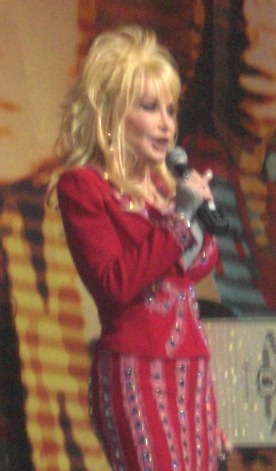 Dolly Parton celebrates 65th Birthday in Chicago! 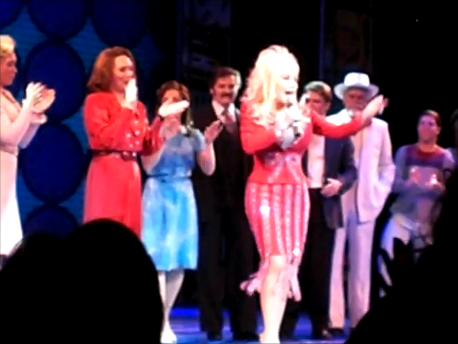 Fans of Dolly Parton were in for a big treat on Wednesday night as she made an appearance at opening night of the Broadway tour musical 9 to 5. 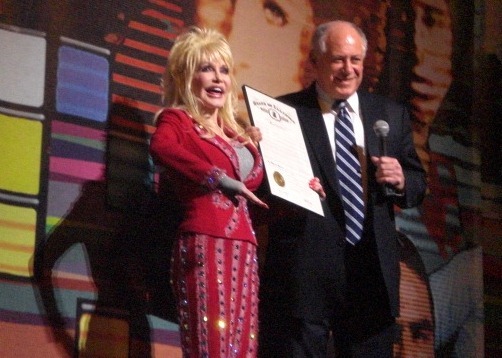 On stage before the show, Illinois’ Governor Pat Quinn presented Dolly with a certificate proclaiming the 19th as “Dolly Parton Day” in Chicago. 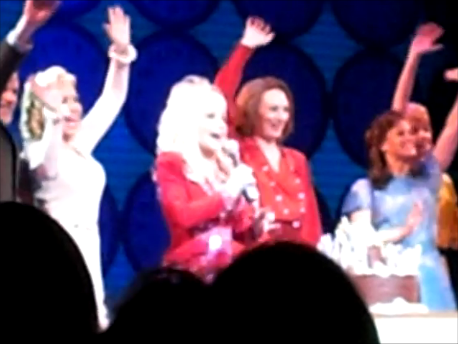 Dolly made another appearance at the final bows, where – as you can see in the video below – the cast wheeled out a big chocolate cake and then led the audience in singing “Happy Birthday” for Dolly’s 65th Birthday. Can you believe that she’s 65 years old??? Wow, she looks great! 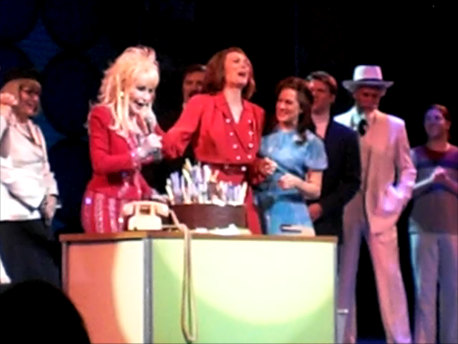 We love you Dolly! 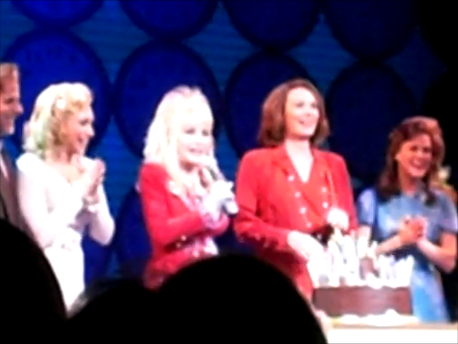 Dolly Parton joins cast at final bows, and helps cut her birthday cake!! 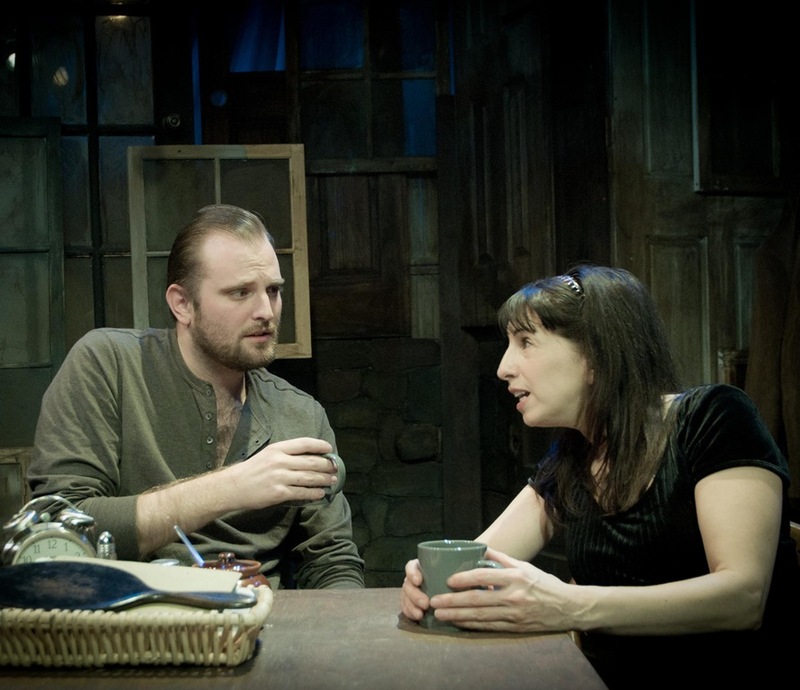 In The Beauty Queen of Leenane, Martin McDonagh has crafted one of drama’s greatest monster mothers, a matriarch of such suffocating dominance and staggering selfishness that she almost makes Medea look like June Cleaver. At least Medea had decency to put her children out of their misery at a fairly young age. Mag Folan, by contrast, seems to live solely to make her grown daughter Maureen’s life as close to hell on earth as one can get. It’s no wonder things get blisteringly, destructively hot in the Folan kitchen by the shocking finale of McDonagh’s tragic-comedy. 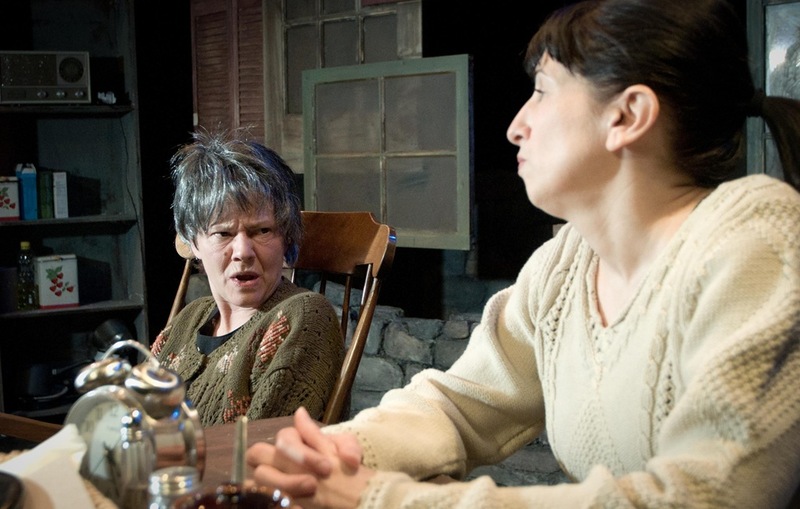 With a pair of intensely complex roles for women whose ingénue days are well behind them, The Beauty Queen of Leenane is an excellent vehicle to usher in the rebirth of Shattered Globe to the Chicago theater scene. 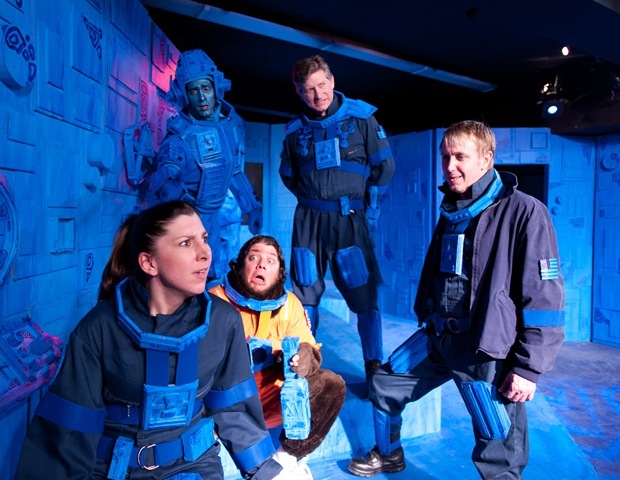 One of the most dismaying arts stories of 2010 came with the announcement that the off-Loop powerhouse was disbanding. The dissolution surely wasn’t for lack of talent – with shows including Requiem for a Heavyweight (our review ★★★★) and Suddenly Last Summer (review ★★★★) and Days of Wine and Roses, the company consistently delivered dramatic riches. 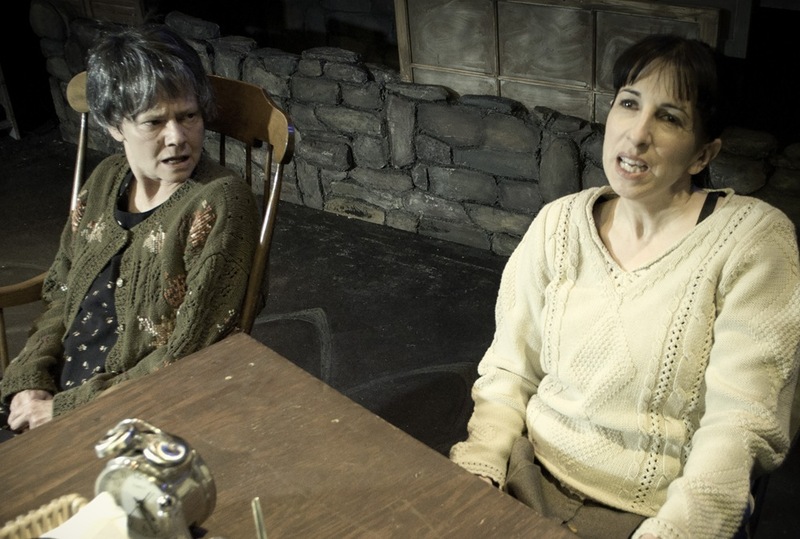 Many of Shattered Globe’s best productions were anchored by the team of Linda Reiter and Eileen Niccolai, whose reunion as (respectively) mother Mag and daughter Maureen is reason for a bit of post-holiday rejoicing. As stories of survival and sanity go, Beauty Queen’s a corker. And just when you think McDonagh has shown the plot’s full hand, the tale takes a twist that’ll stand the hair on the back of your neck on end. In those final moments, key events are called into tantalizing question, and the foundation of what you thought to be true turns out to be no firmer than shifting quicksand. Equally disconcerting is the sudden, scary revelation McDonagh implies about the stranglehold the twin hands of fate and genetics can have on society’s most economically and emotionally vulnerable. The rich and the strong may have the means to escape heredity and circumstance. The poor and the fragile get crushed by them. Director Steve Scott keeps a nicely controlled rein on the storytelling here: Less is infinitely more as Niccolai’s Maureen simmers in a slow but inexorable burn toward an explosion of rage. Under the ruthlessly demanding edicts of her mother, Maureen moves with precise control but has the wild-eyed, feral look of a fox desperate enough to chew off its own leg to escape the trap it is entangled in. As Mag, Reiter scrunches her face into a permanent gargoyle grimace, making the character both monstrous and pathetic – and making Maureen’s plight all the more untenable. 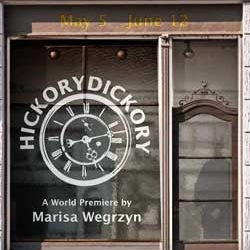 Something has to give between mother and daughter before the last scene, and so it does, with all the violence and horror one expects from a McDonagh play. Of course, Beauty Queen wouldn’t be nearly as powerful if it was a relentless grimfest. There’s more than a little humor threaded through McDonagh’s text – although humor of the dangling gallows variety to be sure. The cast is mostly up to the demands of the script, from its bleakly absurdist lighter moments to the irrevocable tragedy of its darker ones. As Pato, the loving young man who represents Maureen’s only chance of escape, Joseph Wiens provides the narrative’s tender moments, portraying just the sort of gentle, understated and stout-hearted hero one suspects could heal Maureen’s deepest wounds. 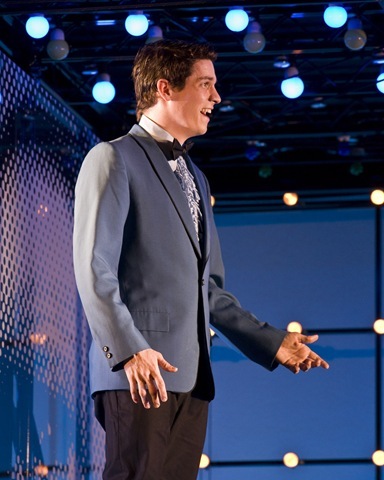 As Pato’s brother, Kevin Viol was a bit too tightly wound at the production’s final preview. Hopefully, his exaggerated jitteriness will lessen as the run continues. Here’s hoping that run is long and prosperous for Shattered Globe, and that many more SG seasons are in store.